I like Bloglovin' as my blog reader of choice but I've been having issues with it since February. All of my photos in the Bloglovin' feed for my website are blurry and I have no idea why. And it's only affecting blog posts after February 1st (see my Bloglovin' feed here). When I contacted Bloglovin' support last month they told me that blogspot had changed something in their system that is causing this. But it doesn't make sense. I'm an author on 3 different blogs - Orlando Modern Quilt Guild, Stash Bee, and Red Delicious Life - all of which are blogspot blogs and my personal one is the only one affected. I've tried changing various settings but so far nothing has worked. All of my photos used to be resized to 600 pixels before being uploaded to blogspot so I've even tried keeping them full sized and letting the website resize them but that hasn't worked either. 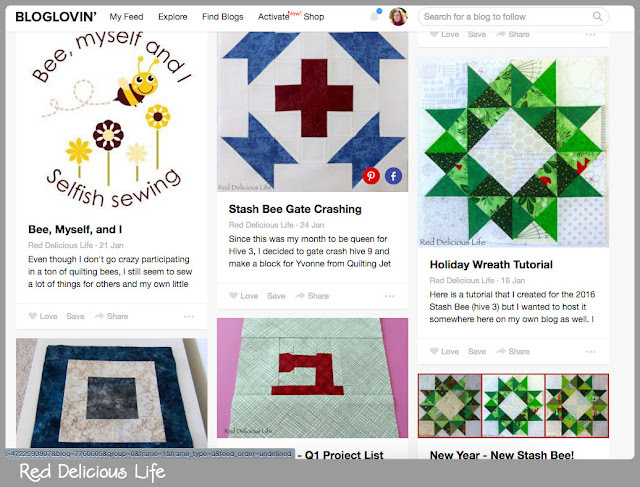 In a creative field such as quilting, photos are what draw in a reader and those that read my blog via Bloglovin' aren't seeing my posts as they should. I'm going to contact Bloglovin' about it again but wondering if anyone else is having this issue? Anyone? What a bummer. I just googled around a bit (which I am sure you have done as well) and see others have had similarly underwhelming response from Bloglovin. Good luck getting it sorted out. It does seem strange that other blogs don't have this issue. Hmmm, that is strange. Hopefully, they can help you figure out what is going on. 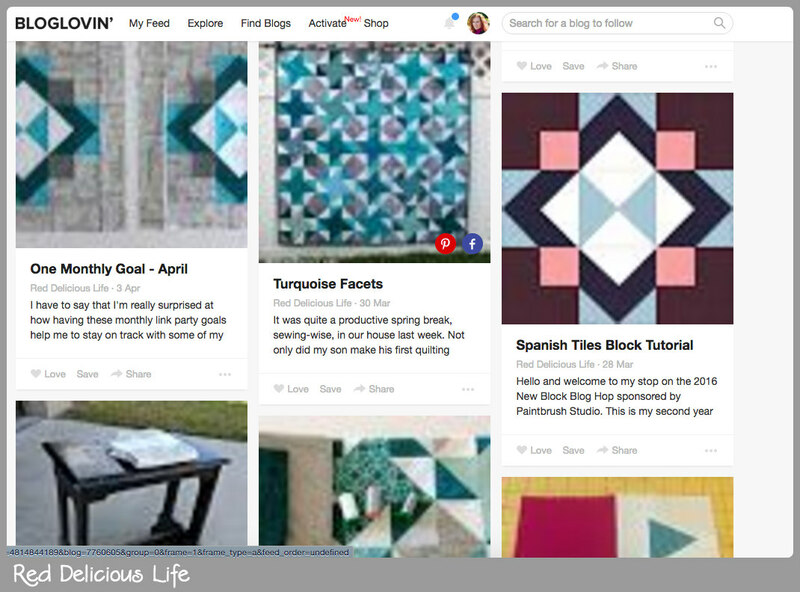 That's pain - I don't normally use bloglovin but rather feedly. I'm hosted in blogspot too and can't see any issues so sorry can't be of any help. Hope they can sort it out for you! That is seriously annoying. I haven't had problems with Bloglovin', but I do have problems with pics that I upload directly to Blogger. The resolution is poor, and I haven't found a way to fix it, despite various attempts. My solution has been to upload to Flickr and link there. Ack! Stupid technology! Have you figured out how to fix it yet? I am having the same issue and am at a total loss. Any help would be greatly appreciated! I just found your updated post. Trying it now!